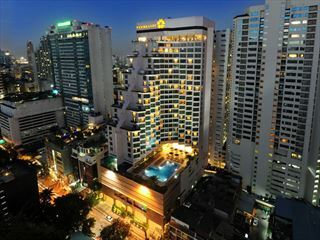 Set on fashionable Sukhumvit Road in the heart of Thailand’s exciting capital, The Landmark Bangkok is an established hotel offering five-star facilities and services. 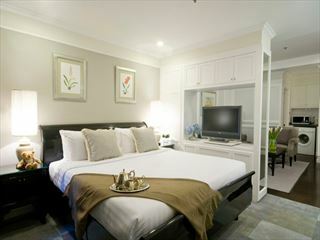 One of Bangkok’s most popular hotels, it is conveniently located for all attractions with a Skytrain station located in front of the hotel. 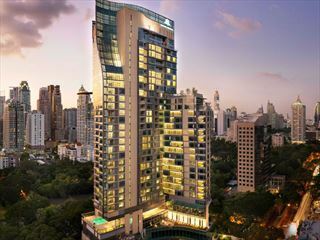 The hotel boasts a wide range of amenities, including an extensive choice of restaurants, Bangkok’s largest fully equipped gymnasium and a spectacular swimming pool. Nipa is a traditional Thai Restaurant offering a sumptuous variety of spicy flavours and unique dishes from the Exotic Kingdom of Siam. Enjoy live traditional Thai music every evening.